APEX Garage Door & Repair is a locally owned and operated Scottsdale garage door repair company with a team of dedicated and experienced professionals in the Phoenix area who specialize in the repair, maintenance, and installation of most garage door brands as well as garage door openers. In addition to being committed to providing the best garage door repair Scottsdale, AZ services in the industry, we are proud to play an active role in the community, as this helps many of our fellow community members. Thank you for your interest in APEX Garage Door & Repair! For garage door repair and garage door opener repair services you can rely on, give us a call and allow one of our friendly team members to assist you with your garage door repairs, so that it is fully functional again in no time at all. As an expert garage door repair technician, Quinn Person knows the ins and outs of garage door repair, maintenance and installation. His expertise in these areas allows him to provide his customers with some of the industry’s best services as well as explain to them how these systems work. Dedicated to ensuring his customers complete satisfaction, Quinn prides himself on making sure every job is done correctly, and on time. 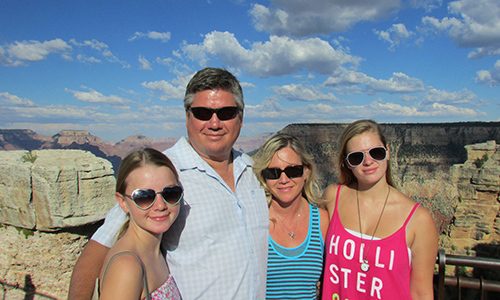 A native Arizona resident, who graduated from Paradise Valley Community College in 1987 Quinn, is further committed to his wife and three children along with his community.